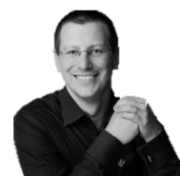 Dominik is a energetic coach and manager who is experienced in integrated software development. He started programming at the age of 14 but discovered later that he can impact project success better in project management. Once he got fed up with classical project management methodology, he switched to Scrum. Dominik is currently leading a team of agile coaches for a medium sized consulting company in Germany. He makes sure to stay with both feet on the ground by helping companies as Scrum Master and Coach in their day-to-day business. His vision is to bring openness and honesty into companies – this makes Scrum his mission. He is bilingual and holds courses both in English and German. Any questions? – Call him!